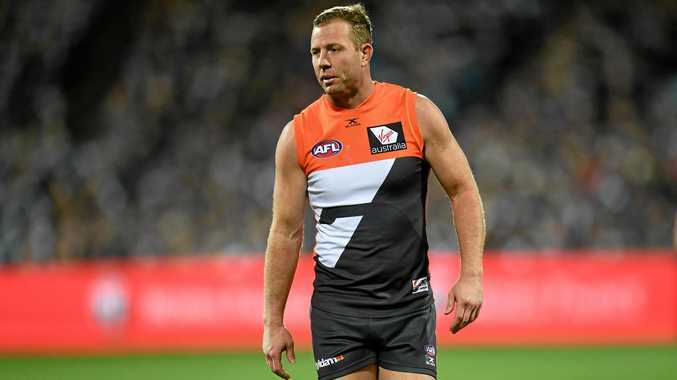 AFL great Garry Lyon says Steve Johnson has failed to convince the Greater Western Sydney coaches he should be picked for the club's qualifying final. Lyon believes Johnson was on his last chance two weeks ago when the Giants lost to Geelong. The former Norm Smith Medal winner was ice-cold that night as GWS were smashed by the Cats. Lyon says Johnson isn't in the club's best 22 players. "At this stage, when you're 33 or 34, what he was able to do 12 months ago is a lifetime ago when you're this age,” Lyon said on SEN Breakfast. "I think Stevie in his own mind understands where he is at. The last game he played, against Geelong - that was his chance. That was the opportunity that Leon Cameron said 'You go out and prove to us that you're capable of playing finals footy at the level you have previously.' He failed. "That would be cutting him to the core, but that's the risk you take when go on for that extra year when you're not sure the year is right nor not. Lyon insisted former Docker Matt de Boer should be the man to replace Johnson. De Boer was drafted by the Giants are a mature age recruit this year. "He's not going to be there to kick goals, he is going to be there to tackle and put pressure on,” said Lyon. "(One goal from 10 finals) will be taken into account as well but his recent form has been better than that.